New to the 888Poker League? Fri 13 Jul - The APL Million is back again in 2019! The APL Million is back for a third year at The Star Sydney Poker Room! We’re excited to announce the third annual APL Million will be running from Saturday, March 2nd to Monday, March 11th, 2019! The first two APL Million events have shown that it is not an event to be missed! We were thrilled to give away massive prize pools of $1,455,000 in 2017 and $1,301,250 in 2018! The APL Million in March, 2019 will see a few exciting changes. The first being a 100% Cash Prize Pool from same ticket price of $1,500 ($1250+250 admin). Again we will be giving away a First Prize of $250,000GTD! Past winners Branko Usljebrka and Sam Dessaix-Poster took home $265,000 and $255,000 respectively, with Sam also scoring an $8,000 WSOP ALL Star Package. Branko and Sam both qualified through the APL Illawarra Region so we are looking closely to see if they can make it a hat trick! 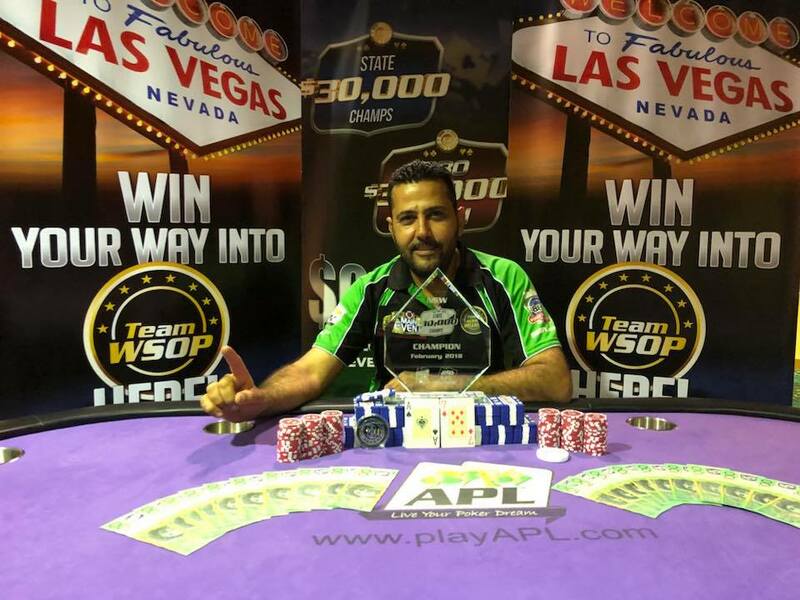 The 2019 APL Million will have four days of play. A 30,000 Start Stack and long blinds will give players the chance to experience the great poker room and fantastic atmosphere whilst vying for the $250,000 Minimum First Place Prize. The 2019 APL Million will once again play host to the prestigious Players Party, an exciting night for all players in attendance! For those who have already qualified, we will be in contact soon to ensure you get the Day 1 that you would like to play, and the Friday (Flight 1d) always sells out very quickly, so if you would like to secure your place, please jump across to www.pokertickets.com.au and get your seat for the most exciting tournament of the year and Live Your Poker Dream! The APL Million is an open event in which players from all over Australia are eligible to play. The best way to qualify is to satellite through your regular nightly and state special events. These events can all be found on www.PlayAPL.com and www.888PL.com.au. More satellites will be added to the websites as they come to hand. Congratulations Huss Hassan and Peter Curtin, 2019 APL Million Champion and Runner Up! The APL Million is back again in 2019! The BIG ONE HUNDRED breaks records in Queensland!